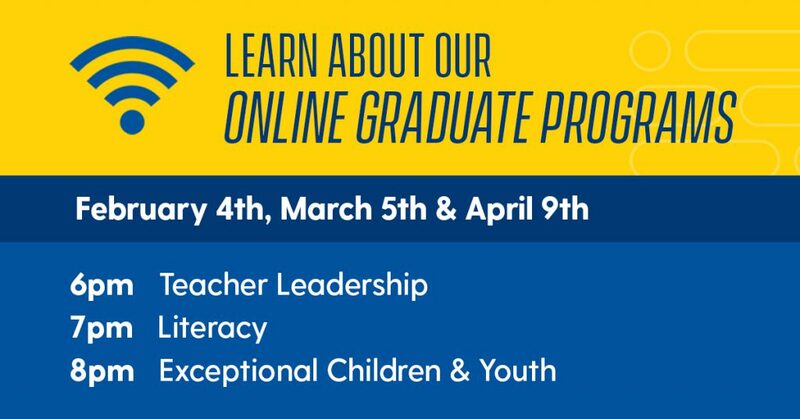 CEHD’s online graduate education program is ranked in the top 50 online programs in the country by U.S. News & World Report. Visit our Online Master’s programs for more information. If you are interested in our programs but cannot attend these events, visit our Graduate Programs webpage and contact the program advisor.